AuCom helping South American rice production steam ahead. Motronics is a valued South American partner of AuCom based in Brazil. They provide motor control solutions, industrial automation and assembly of control panels to customers in the southeast region of the country. 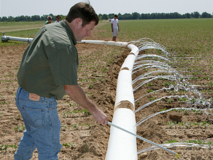 Motronics works with farming operations to support their irrigation projects with motor control solutions, including soft starters. A recent project is a rice farming client on the border of Brazil and Uruguay, where Motronics worked with a local partner to implement five AuCom compact CSXi soft starters, controlled by a mini PLC, to help with irrigation flow control. The cost of seed, agrochemicals, fuel, labour, machinery, equipment, irrigation, drainage systems, and construction of water reservoirs makes rice the most expensive crop to grow in this area. The high production expenses can often lead to farmers becoming overwhelmed by debt and discontinuing production. Understanding and implementing strategies to reduce costs and resource wastage is critical to the success of the South American rice farmers. 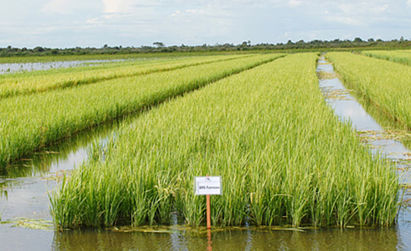 Motronics helped to reduce costs for the Brazil/Uruguay rice farm by educating them on the benefits of using CSXi soft starters to help control the irrigation flow and reduce water wastage. The new system is more cost effective compared to variable frequency drive (VFD) and can still control the water flow by turning on one motor at a time. It also has the flexibility to be operated automatically or manually. The rice field had a very unstable mains supply with significant voltage fluctuations, which was a concern when operating irrigation equipment for the farm manager. The soft starters used needed to be robust enough to protect themselves and the motor from voltage fluctuation damage, while being easy to operate and manage. The AuCom soft starters met this requirement. With Motronics located close to the rice fields, they were able to offer excellent in-person after sales support. Applying more modern motor control equipment has enabled the client to improve motor control and protection, at a significantly lower cost than applying a VFD, ultimately resulting in more productive farm processes.